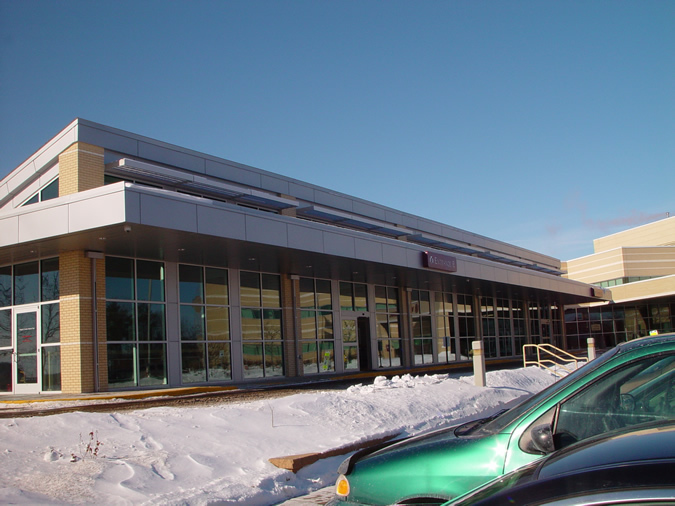 Marshfield Clinic in Eau Claire, WI utilized Dri-design Architectural Wall Panels as a facade - soffit to hi-light an impressive overhang roof entrance canopy to the new medical clinic. The facade panels at the high overhang feature multiple bends to accommodate the building's various angles. 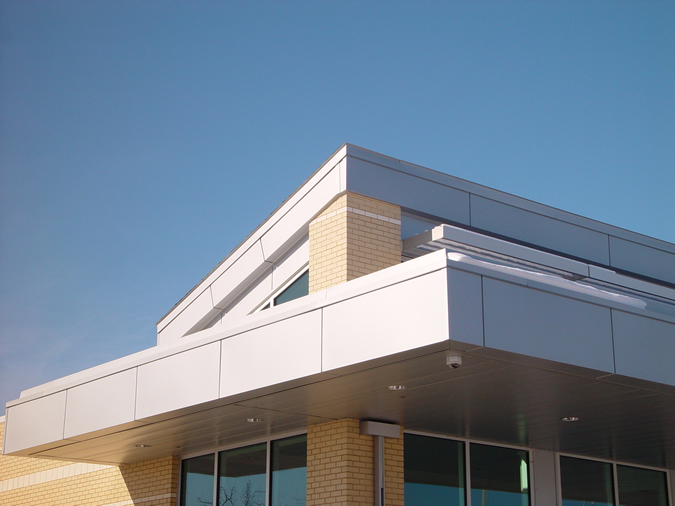 © Copyright 2013 Architectural Products of Wausau, Ltd.